By the end of the week, what seemed to start out as a long week ahead of us, ends up flying by so quickly. The campers arrived on Sunday afternoon and the next thing we knew, it was Saturday morning and time to go home. After many hugs and some tears, Session 3 is complete and the campers have all gone home. Ending our beautiful week with Divine Liturgy, was the perfect send off to a truly special session at Fanari Camp. Fr. Peter Sarolas, Fr. Andrew Kearns, Fr. 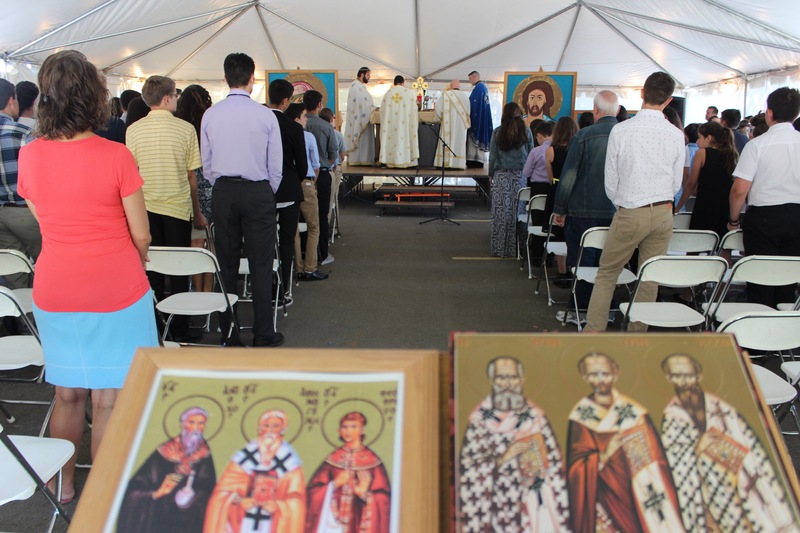 Chris Mihalopoulos and Deacon Chris Avramopoulos celebrated the Liturgy together and chanted a memorial for those Fanari clergy, staff and campers who have fallen asleep in the Lord. May their memories be eternal! Finally, we ended with a sermon from Fr. Peter about putting our faith into practice. Wherever you are in your life, be an example and continue to teach others about our Orthodox faith. Campers, we pray that you grew spiritually and personally during your week at Fanari Camp. We hope you made new friends and had fun, while learning more about your faith. Carry your Fanari agape with you throughout your lives and cherish the friendships and memories you’ve made this week! To our amazing counselors, staff, and clergy, we thank you for the love and care that you gave so freely. Fanari couldn’t happen without you! Your dedication to the youth of our Metropolis is so important to our ministry and we’re very thankful for the time you’ve given to our Fanari campers. See you next year Session 3 campers…onward to Session 4! Click here for Session 3 Day 7 photos!